and a budding writer, is especially excited. Not only has she worked out the perfect twist for her novel, she’s also fallen helplessly in love with someone she shouldn’t have. But by the time midnight strikes and fireworks light up the night skies, the Edevane family will have suffered a loss so great that they leave Loeanneth forever. Alice Edevane, now an old lady, leads a life as neatly plotted as the bestselling detective novels she writes. Until a young police detective starts asking questions about her family’s past, seeking to resurrect the complex tangle of secrets Alice has spent her life trying to escape. Where do I begin? I suspect this will remain at the top of my “best for 2016” list for a very long time. The author cleverly weaves a number of strands of mystery together. 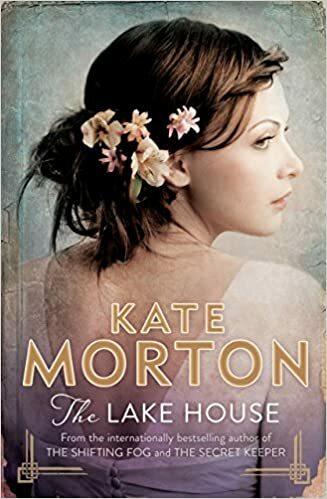 It is not just what happened on Midsummer’s Eve at the Edevane’s country house, Leoanneth in 1933, but what actually happened to Alice Edevane’s father in World War One to give him recurrent nightmares and to make him a man who is dangerous to his own children. And then there is what Sadie Sparrow actually did to cause her to be sent on an enforced holiday. The stories are told so cleverly that you feel there is always something new to learn. The characters are so well drawn but even then some are wrapped in mystery. There are red herrings galore and just when you think you have it all worked out you realise there is something else to consider.